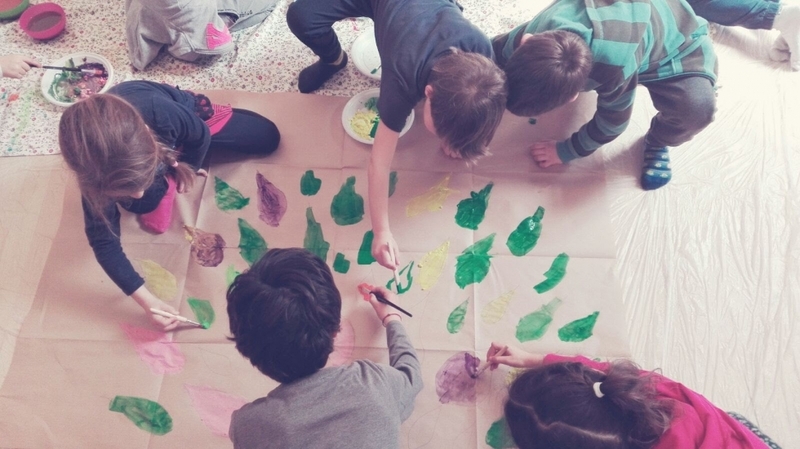 The course is divided into 5 weekends, from November 2017 with the possibility of internship and job placement in primary schools in Rome and Latina. The mission of EduYoga is to prepare parents, teachers and educators to experience a state of centering and harmony, to learn and embody the teachings of yoga and to become skilled in transmitting them to children and young people. 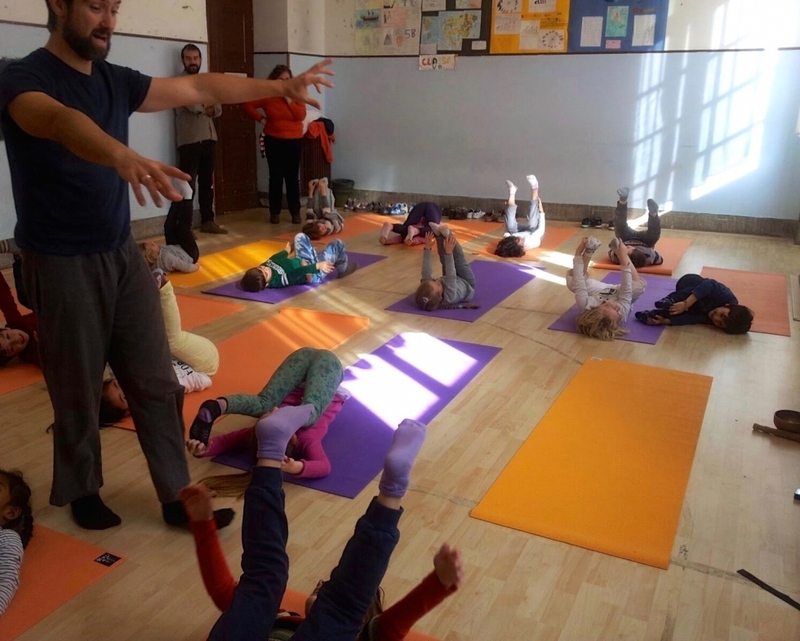 The course is aimed at parents, educators, yoga teachers and teachers of children, primary and secondary schools, and to all those who are curious and sensitive, wanting to deepen the possibility of a conscious and holistic education. Min 6, Max 18 participants. Energizing or calming games and other artistic-expressive proposals. During the weekends there will always be space for a personal yoga practice so as to feel with the body and not just the mind. All proposals will be aimed at the world of children, training our inner child and creativity to emerge and develop. The training course consists of 80 hours of theory and practice divided into 5 intensive weekends and 20 hours of yoga practice to be performed at our centres. For exemplary students there are opportunities for placements in schools or during summer camps for families. The cost of the course is € 680.00. If paid in a single fee you are entitled to a 5% discount by paying € 650.00. After having paid the registration fee of € 200.00, you can divide the remainder into 2 or 3 installments (to be paid by the 4th meeting). The fee includes the CSEN card, insurance, educational materials, cards of the two proposing associations and certificate of participation. The entire route is highly recommended, but it is also possible to register and attend only the individual weekends on request at a cost of € 180.00 each. send an email asking to receive the "Participation form"
The training course will alternate between the two offices of the host associations. Some meetings will take place at Amrita in via dei Georgofili 149, S.Paolo area; others at YogAyur in via Giuseppe Acerbi 38, Ostiense area. This edition of the course takes place in Rome, but we are happy to consider travel to other sites both nationally and internationally. AMRITA and YOGAYUR are two well-known Roman names committed to serving people in the field of wellness and Yoga. The union of the two associations guarantees to provide a network of professionals and a combination of skills, methods and practices that are varied and useful for a successful project. 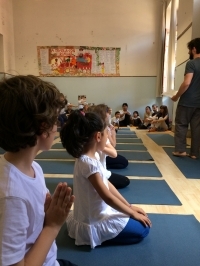 Amrita has worked in Rome for several years, guaranteeing quality offerings in the field of spirituality with a holistic approach, becoming increasingly involved in education as a change in society. YogAyur was created to give a new impetus to the culture of personal well-being, a Wellness that is not only physical, but permeating all levels of a human being. 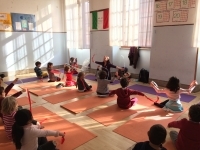 In recent years the two associations have joined together for educational purposes and have been working on Yoga at School projects in public schools in the local area. Amrita was created in 1997 and right from the start the goal was to combine the art of Yoga with the ancient Indian medical science of Ayurveda. With much effort, love and care, they have endeavored to create a spiritual meeting point in which everyone can share the aspiration to improve as a human being, developing not only their psychophysical well-being, but also their own divine potential. In the many years of extensive activity it has hosted a vast array of seminars, events, training, debates on well-being and personal growth, on current issues and spirituality, tracing the ancient and wise Eastern traditions and adapting them to the needs of our times. Meditation, Pre and Postnatal Yoga, Massage and Ayurvedic consultations, Training Courses and Travel in India. 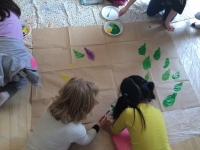 Since 2009 Amrita has been focused and actively involved in working with families and the world of children. 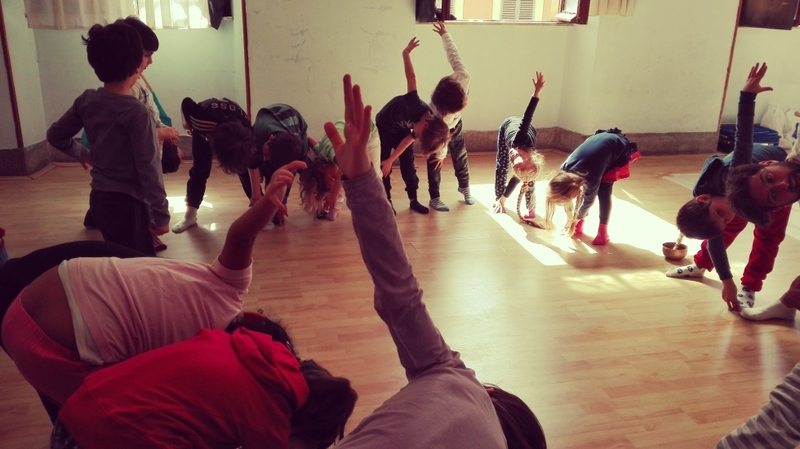 To date, they offer a weekly yoga course for children and teenagers, involving the whole family. While the little ones engage in the "downward facing dog" pose, the adults in the next room practice yoga with another teacher. Parents and children meet periodically to share family activities with quality time, slower breathing, play and relaxation. A constantly evolving mission, utilizing ancient tools and practices such as yoga, massage, meditation along with contemporary techniques such as counseling, the goal of YogAyur (Yoga = Union, Ayur = Life) is to increase the experiential connection with that which we call Life, increase the awareness of our condition, and better understand that which can lead us to a richer, more peaceful and fulfilling life, in short, to a natural wellbeing. YogAyur offers private and group yoga and meditation classes; massage and holistic treatments at home or at associated wellbeing centers. It also offers relational counseling sessions for individuals, couples or for working groups; workshops and thematic meetings on wellbeing; practice retreats and trips to places of artistic and cultural interest. Courses can be individually tailored to best facilitate the achievement of psycho-physical well-being. 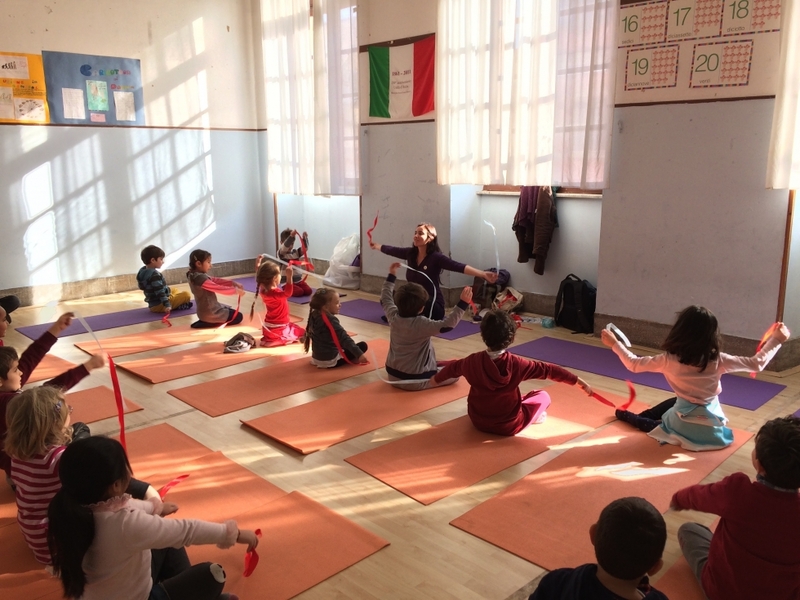 YogAyur also supports educational projects in Italy and abroad with beneficial activities. Aurora is a graduate of International Cooperation from the University of Rome 3, with a Masters in Human Rights and Humanitarian Intervention from the University of Bologna. She is passionate about the world of children, and very quickly became involved in the field of play and education: party entertainer, on-site teaching about farming and agriculture, chaperone and tutor of children and adolescents during summer retreats in Italy and abroad. She practices hot-stone massage and Kerala style ayurvedic massage, having studyied both in Italy with the famous master Govindan, disciple of Gandhi, and in India at Ayurvedic clinics. In 2013 she became certified in the therapeautic arts at Sipea Onlus, specializing in "Creative Expression and Dance Movement Therapy." She studies and teaches yoga classes for children and teenagers combining yoga with expressive and artistic methods. She is qualified in Therapeutic Yoga at the Yoga and Ayurveda Academy with Ayurvedic doctor Rajesh Shrivastava. She loves play, nature, and everything that is personal growth, with a deep love for discovery and work on oneself. Counselor, yoga and meditation teacher, after a sportive career in sailing and with a degree in International Cooperation from La Sapienza University in Rome, Federico decided to dedicate himself fully to his long-held interests in self-enquiry and the study of wellbeing in humans. Along his journey he has studied movement and sacred dance handed down by G.I.Gurdjieff and the essence of the Sufi tradition. Furthermore, he is trained in Ayurvedic Yoga Massage by Shakti Martinez, a direct student of Indian master Kusum Modak. He is a certified relational counselor with an integral approach to wellbeing on the physical, emotional, and mental level. 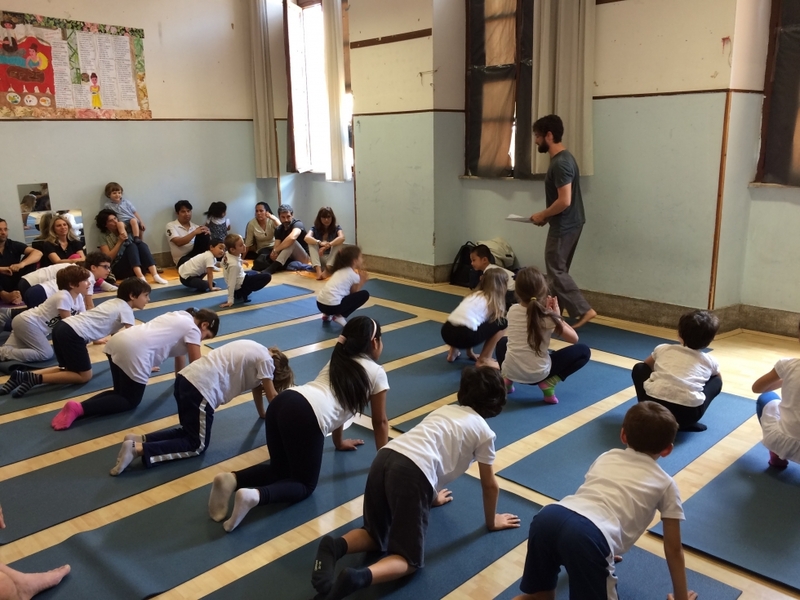 He teaches classical Hatha Yoga and meditation in Italian and English, and collaborates with select wellness centers and spas in Rome. He also teaches children's yoga in public and private schools around the capital.